Two emerging brands that change the game within the QSR segment: COFFEE that's in front of the next trending wave, and JUICE that's innovative, fresh and incredibly delicious. Choose your path - coffee, juice, or both (under one roof). DRNK coffee + tea was born with the goal to disrupt the coffee franchise model. With the rise of third wave/boutique type coffee shops serving ultra-expensive coffee, we saw the opportunity to deliver that same great quality but for an increasingly health-conscious, and quality focused consumer, maintaining a traditional coffee shop setting. 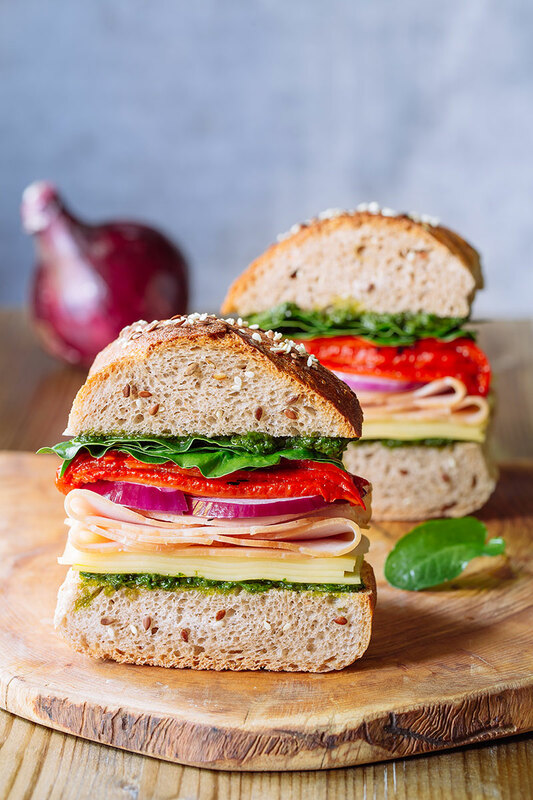 DRNK coffee + tea has a vibrant swagger and a sophisticated appeal offering a diverse selection of world-class organic coffees and teas, freshly made breakfast items, paninis, wraps, and salads. To say the future is bright would be an understatement. 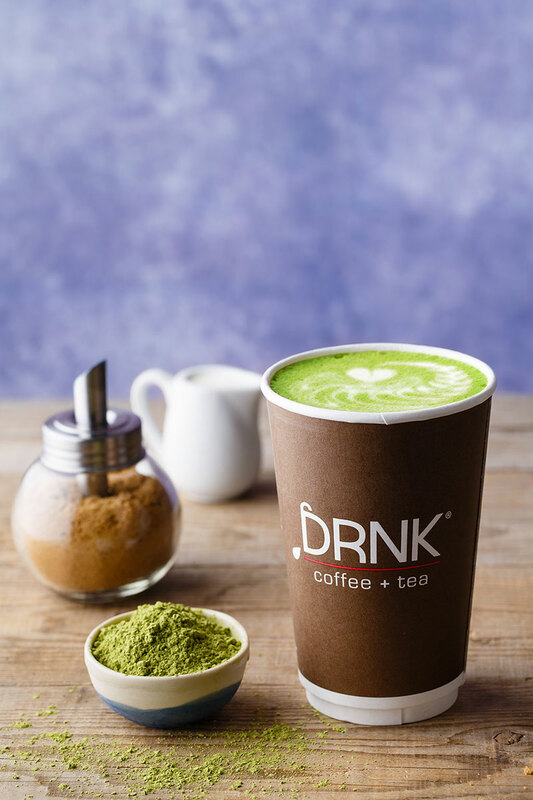 DRNK coffee + tea is a growing franchise built for long-term growth. We invest great efforts into research and development, making sure we're way ahead of the curve. Our goal is to constantly re-invent ourselves as leaders in the specialty coffee space. We're consistently testing new products forecasting the next big hit! This culture carries to our marketing strategies, and operations support. Progressive: Everything from store design to merchandising imagery has a unique feel. Organic Options: We proudly serve organic coffees and teas- we see this as an ever growing segment. Ethical Sourcing: DRNK coffee+tea ethically sources coffee through direct relationships harvested in many nations. Creative DRNKs: We're always experimenting and testing new drinks to bring the WOW factor! Big emphasis on R&D. Major Tea Focus: We have an incredible selection of organic teas. Tea is the next segment in the beverage industry and we're prepared. We Listen: We listen to the trends, we listen to our franchise partners and most importantly we listen to our guests. Partners who have passion for business and believe in our concept. Experience as a multi-unit food or retail operator with successful development experience. Sufficient capitalization: Minimum net worth of $400K, with liquid assets of at least $150K. A strong commitment to community and a desire to be really great at this! Demonstrate exceptional managerial skills and business acumen. Built-in Operational System: All the tools are in place for you to operate your business effectively. R & D: We're in tune with the coffee industry, constantly identifying the newest and hottest trends. Strong Buying Power: We are constantly overseeing prices and negotiating all items to put franchisees in the best position for success. On-going Support: From the day you start your business to everyday thereafter we are always providing you support from operations, training and marketing. Proven Model: DRNK coffee + tea's current operating locations demonstrate that model works! Our franchise partners continue to enjoy incredible success from a brand perfectly targeted towards the more sophisticated coffee consumer while offering the ideal franchise operating model! Our operations team is built to be hands on with franchisees! We spend two weeks training franchisees in Hollywood, CA and spend at least one week training staff at the franchisee's location. Our in-depth program helps franchisees understand the day-to-day operations including customer service, overseeing cost of goods, labor, hiring and maintaining equipment. When it comes to operations, we're very serious about supporting our franchisees. We want to ensure a comfortable store environment for both our partners and their customers. Our training team will be available for ongoing support and new product introductions. Quarterly franchise meetings allow franchisees to get updated on new products, training and new programs. 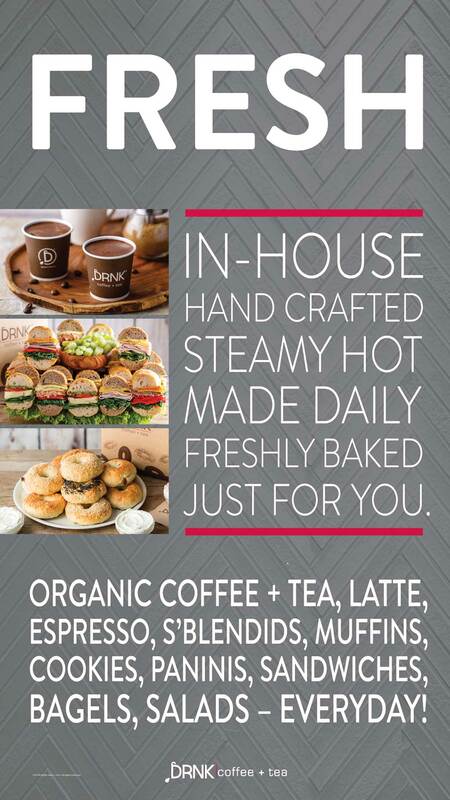 DRNK coffee + tea's marketing is designed to be hyper-focused on the local trade area. Our marketing team works hand-in-hand with franchisees in developing Grand Opening campaigns, so that the neighborhood immediately feels the presence of the newest coffee shop in town! To drive traffic to the stores we direct our efforts in guiding you to implement a variety of marketing tactics and the development of a Local Store Marketing plan which includes proven tactics such as on-site sampling, direct mail campaigns, bounce back coupons, loyalty programs and more. However, we're different than most QSR franchise organizations. We're investing major efforts into modern marketing tactics such as geo-focused content marketing in the form of blogging and of course taking advantage of the wide but targeted reach social media has on all platforms. Bottom line, a well-executed marketing plan added to our on-going LTO and product offerings, and continued support equals a successful DRNK coffee + tea. 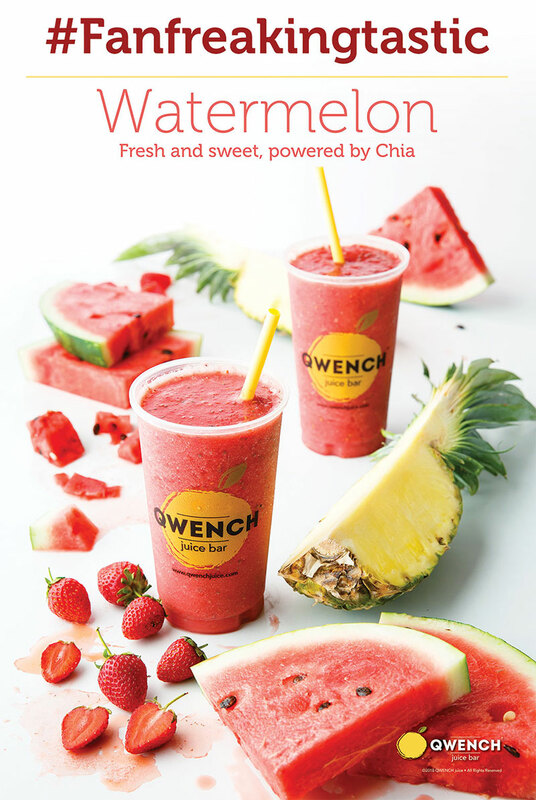 QWENCH juice bar is an innovative and evolutionary response to an emergent food trend focused on fresh ingredients, natural flavors, and elevated nutrition. Offering a wide selection of raw squeezed juices, smoothie blends, and handmade acai bowls, our units are where genuine health and incredible taste live in perfect balance. "Wow factors" and firsts in the field include a giant "misted" vegetable and fruit display and the front counter position of a produce washer that "bathes" the product prior to cutting and juicing. Crafting the perfect recipes and maintaining the discipline to honor health is the heartbeat of Qwench juice bar. Minimum $150k in Liquid Capital; $400k in tangible net worth. Knowledge of trade area in which your location will operate. Community ties are always helpful. Preferably have at least two years restaurants owner/ operator experience. Passion for the business with values aligned with Qwench juice bar. Marketing-minded or open to learning strategic marketing methods to foster a successful business. Creating an emotional connection with your staff and customers. This is arguably the most important.